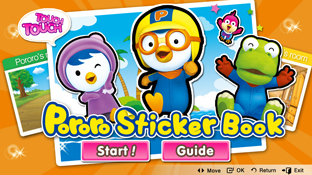 Children’s president, the popular ‘Pororo’ sticker book. 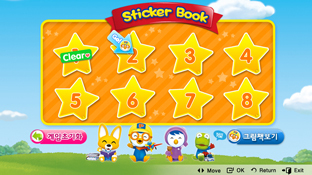 Whenever you complete total 8 steps’ sticker books, you could see Pororo video clips. As a sticker game with various topics, this game intrigues curiosity about things and improves reasoning and thinking skills by giving strong motivation for learning. 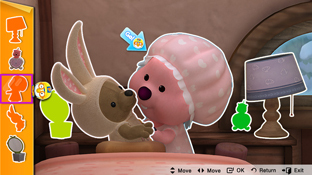 Pororo friends! Let’s put stickers on the sticker books with mom and daddy.